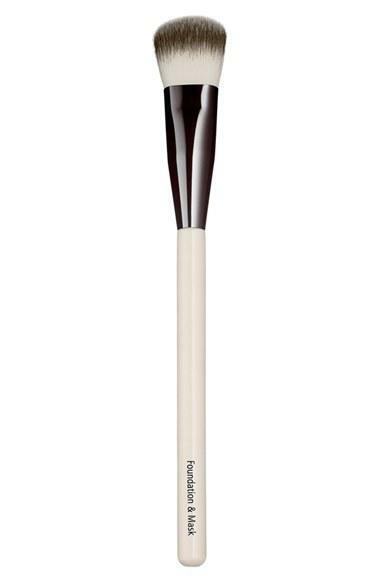 This stylish and sleek Foundation & Mask Brush is expertly shaped for precise application of the brand's signature foundations and masks. Its innovative synthetic fibers dispense the perfect amount of product effectively and quickly. Made from lightweight wood and sleek gunmetal, it's a professional tool that yields gorgeous results, whether used for cosmetics or skin-refining beauty treatments. Style Name: Chantecaille Foundation & Mask Brush.